Rami Malek plays the legendary Freddie Mercury in "Bohemian Rhapsody". 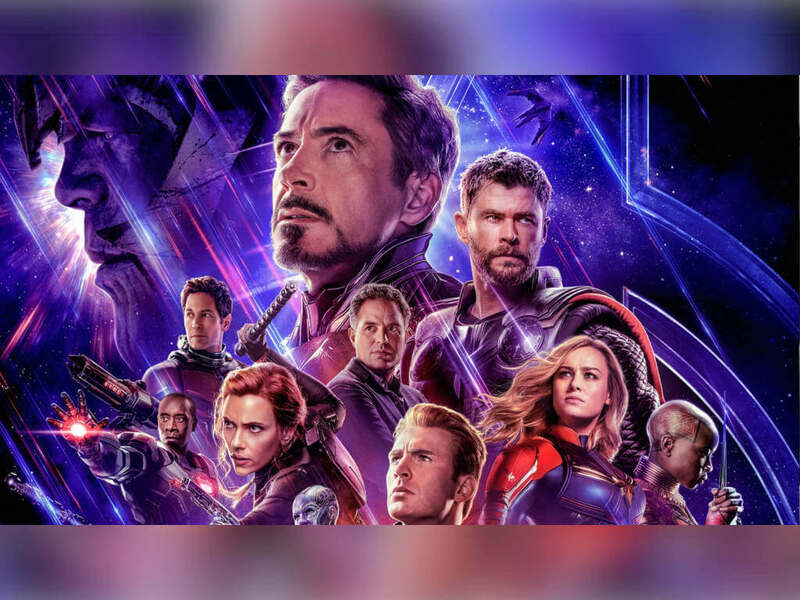 Ever since 20th Century Fox released the first teaser trailer for "Bohemian Rhapsody" back in May, the anticipations have been running high. Sure, there are sceptics around but it's hard to deny that despite Freddy Mercury's unfortunate passing in 1991, the legendary Queen band remains popular even until today. Besides, it's difficult to find anyone who doesn't know the classic anthems like "We Will Rock You", whether they are from the old or younger generation. 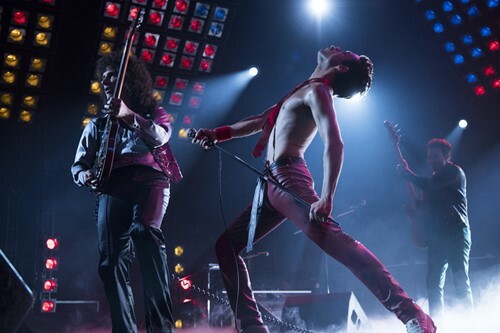 Now, with the Freddy Mercury biopic set to rock our cinemas this coming, here are the five reasons why you should get excited about the movie! 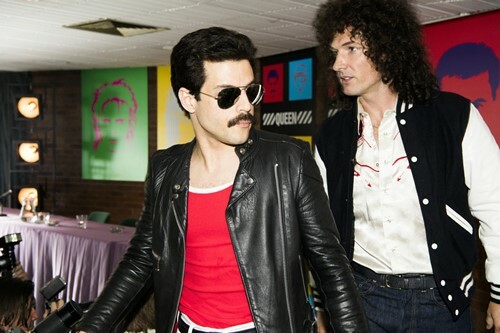 Freddy Mercury (Rami Malek) and Brian May (Gwilym Lee) in "Bohemian Rhapsody". Believe it or not, "Bohemian Rhapsody" actually took 8 years to materialise into a big-screen biopic. But all the agonising wait - particularly for fans of Freddy Mercury and his Queen band - had its reason. Apparently, the surviving bandmates including co-founder and lead Queen guitarist Brian May want to ensure that everything was done right. And for the record, this movie also happens to be the first Freddie Mercury biopic ever to grace the cinema, which ultimately explained why "Bohemian Rhapsody" is easily one of the hotly-anticipated movies of 2018. Rami Malek rocks the concert as Freddie Mercury in "Bohemian Rhapsody". Who could have thought that Rami Malek, the Egyptian-American actor best known for his Emmy Award-winning performance in TV's "Mr. Robot", ended up with the most pivotal role of his 14-year acting career? 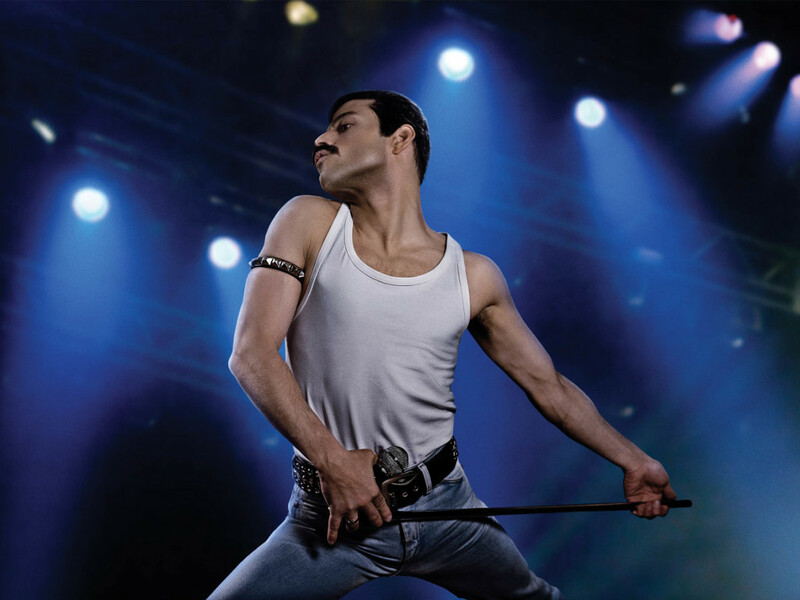 From the trailers to numerous previews that have been shown so far, Malek looks like a spot-on choice to play the legendary lead singer Freddie Mercury. 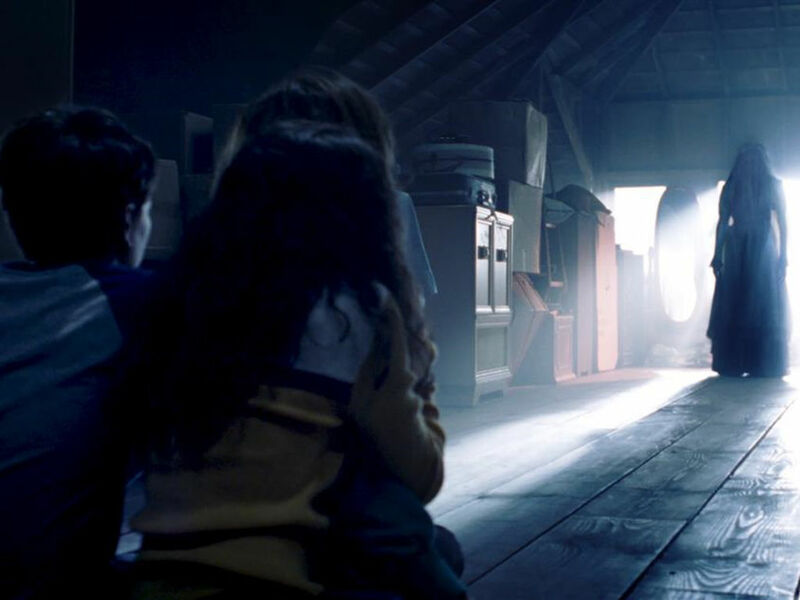 Even before the movie was officially shown in cinemas, Malek's role had already generated early Oscar buzz. 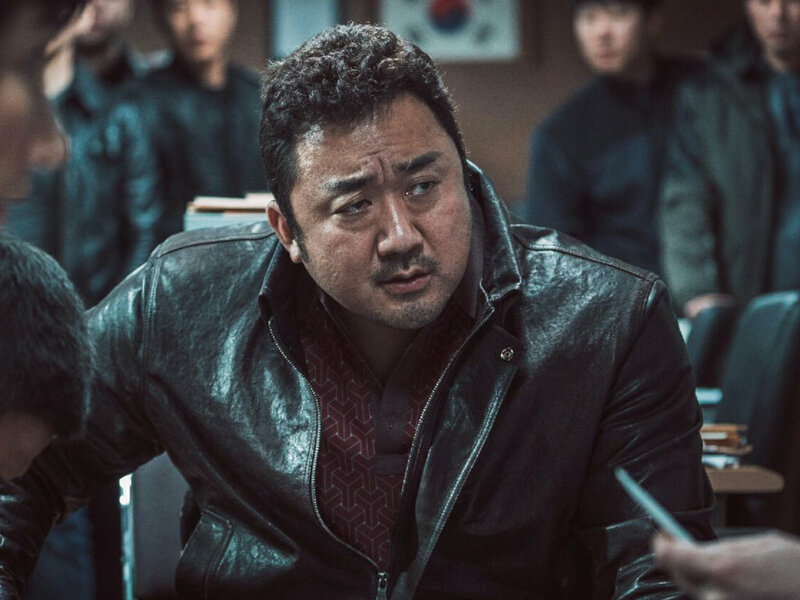 If done right, Malek could be well on his way to secure his first Oscar nomination for Best Actor and it could even place him as one of the frontrunners to win the coveted award. 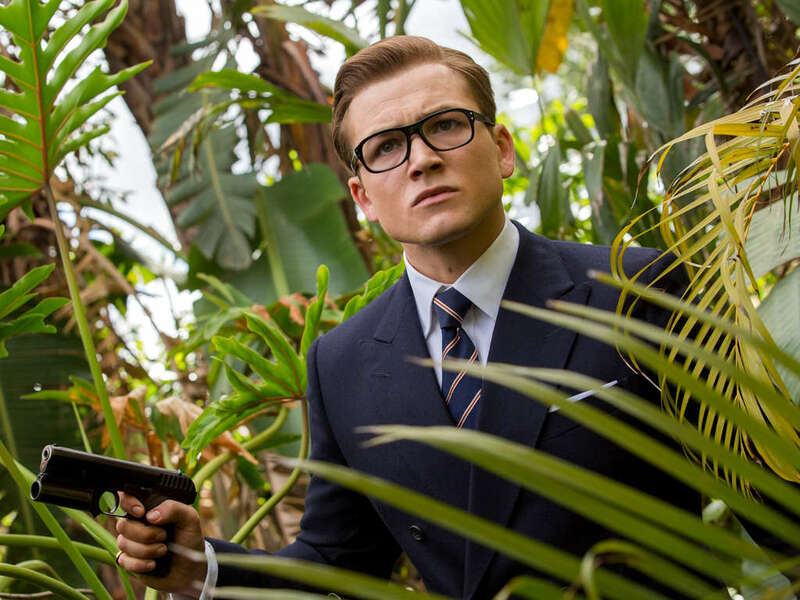 Here's a little trivia: Rami Malek was actually not the first choice to play the lead role. Back in 2010 when "Bohemian Rhapsody" was still in its early development, Sacha Baron Cohen was originally attached for the role (yes, the same Sacha who acted in "Borat", "Bruno" and "The Dictator"). However, the controversial comedian eventually left the role due to creative differences and Malek was next in line - a decision that Brian May himself praised him as both "flawless" and "no one else who could have done a better job" of portraying Freddie Mercury on the big screen. 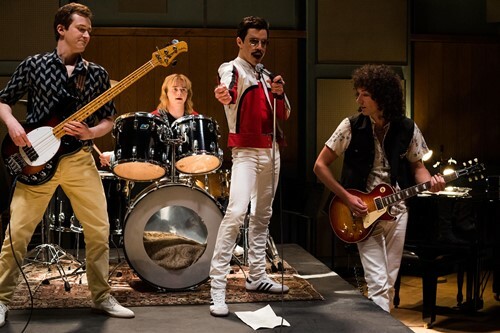 Rami Malek and his fellow Queen bandmates in "Bohemian Rhapsody". 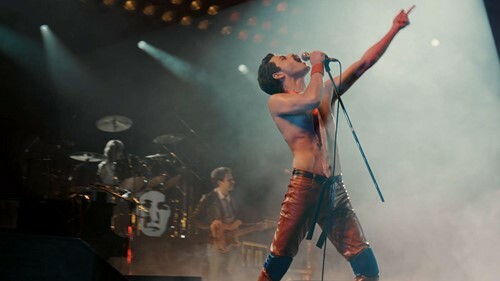 It's a Freddy Mercury biopic, and that means we will naturally expect to see Rami Malek and the rest of the supporting actors (Gwilym Lee's Brian May, Ben Hardy's Roger Taylor and Joseph Mazzello's John Deacon) play the bandmates who belt out classic songs on the big screen. That includes the likes of all-time favourite rock anthems; "We Will Rock You", "We Are The Champions", "Somebody To Love" and "Another One Bites The Dust". A scene from "Bohemian Rhapsody". Biopics like "Bohemian Rhapsody" is no doubt a Hollywood prestige project that's going to gain both critical and public attention one way or another. The filmmakers behind the movie are wise enough to bring in two acclaimed screenwriters, which include Anthony McCarten and Peter Morgan. Both of them are no strangers to writing biopics or dramatic re-telling of real-life figures: McCarten has a prior experience adapting Jane Hawking's memoir "Travelling To Infinity: My Life With Stephen" in the Stephen Hawking biopic, "The Theory Of Everything" (2014). Morgan, on the other hand, is best known for writing "The Queen" (2006) and "Frost/Nixon" (2008) - both of which earned him Oscar nominations for Best Original Screenplay and Best Adapted Screenplay respectively. Believe it or not, that is actually Mike Myers in "Bohemian Rhapsody". Yes, you read it right: Mike Myers is actually in "Bohemian Rhapsody". Not playing one of the Queen bandmates, but as an EMI executive named Ray Foster - a fictional character loosely based on the real-life Roy Featherstone, who was famously responsible for signing Queen back in 1973. 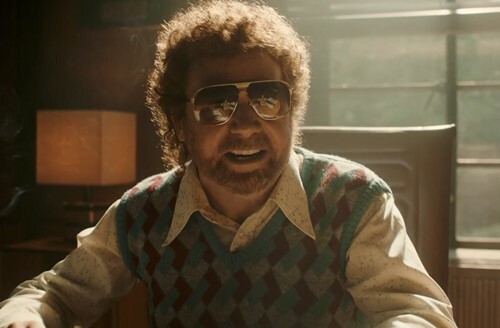 What's more interesting is it's not the same old Myers that we have grown accustomed to via his "Wayne's World" and "Austin Powers" heydays, instead, he looks virtually unrecognisable in his latest supporting role, complete with 1970s haircut, facial hair and sunglasses. 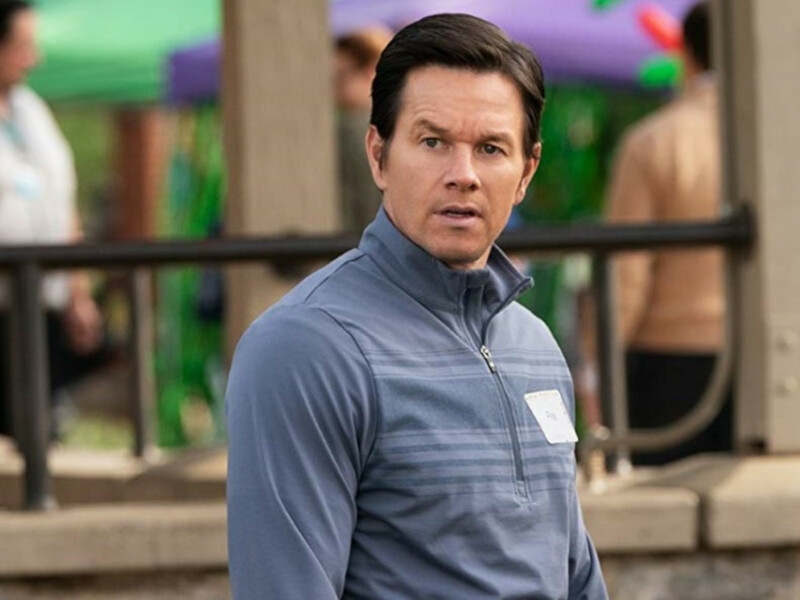 It's the kind of role that might attract the Academy Awards' attention to nominate him in the Best Supporting Actor category. Did you know that these actors have a twin? Here we present some famous celebrities who have a twin sibling!